So, are you finished your book yet? Friends used to ask this question when I started writing. Now? Not so much. I guess they figure I should be done already. My book should be sitting on a shelf somewhere, and I should be signing copies in Waterstones, and doing ‘famous author stuff’. I have to admit, I believed this fantasy once. I thought I’d write the book (which would be easy), and it would be snapped up (preferably with a bidding war) and I’d be going to the film premiere in Leicester Square in no time! I’m not so embarrassed to admit this, since the fantasy was enough to get me started on this writing journey. We all have to start somewhere. And thanks to the many hours I’ve spent staring blankly at my current Word document, and all the writer’s blogs available online, I know a LOT better now. But once you know how hard it is to get published, it can be a little gloomy, so here are my links to the most inspiring, honest and upbeat accounts of the road to publication. 1. 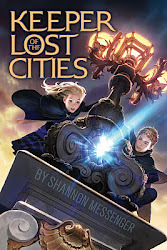 Shannon Messenger, who began writing in 2009 and has her first MG novel out soon. She does a great roundup of her writing year, which makes for an inspiring read. 3. Laini Taylor’s post about how Daughter of Smoke and Bone (wonderful book!) came into being –wheeeee-real book! You have to click through a few links to get the full story, but honestly, reading this blog is such a pleasure anyway, it’s worth it. Laini also has a great blog about her writing process, called Not for Robots, which is well worth checking out. Of course, while you’re reading these posts, you’re not getting any work done…but procrastination is a topic for another time! This entry was posted in Where I talk about stuff, Writing and tagged children's novel, publication, writing by Trudy K Taylor. Bookmark the permalink.